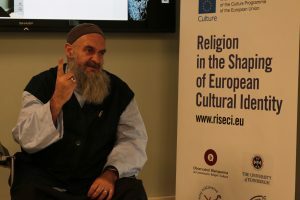 Blanquerna Observatory on Media, Religion and Culture and the RISECI project organized on Friday, February 13, from 12 am to 18 pm, a series of conferences in which the topic of atheism and literature in Europe was discussed. 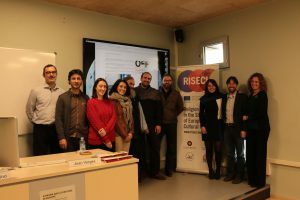 Thomas Mann, Edith Stein, Machiavelli and Antoni Tàpies, among others, were the authors and artists discussed by different speakers from Spanish and European universities. After lunch, the conference on classical Muslim literature and Sufism was given by the Sufi artist Cristóbal Martín Abdul Wahid.